Valid Registration Card for Medical Cannabis and DUI's: Does a valid registration card for the use of medical cannabis prohibit a DUI arrest? Illinois law allows medical cannabis use, however, driving while impaired by the use of cannabis could still result in a DUI as well as the revocation of your medical cannabis registration card. A driver may not operate any motor vehicle while under the influence of cannabis prescribed for medicinal purposes and may not transport medicinal cannabis in a vehicle unless it is stored in a tamper-evident container and kept in an area that is inaccessible while the vehicle is moving. If you are found to be driving a vehicle recklessly, your medical marijuana card does not prevent authorities from charging you with a DUI. If you hold a medical cannabis registry card, are pulled-over by a police officer, and the officer has reasonable suspicion to believe that you are impaired by the use of cannabis, then you must submit to field sobriety testing. Refusing to submit to field sobriety testing or failing the field sobriety tests will likely result in the suspension of your driver's license for up to a year. If you are a medical marijuana patient and are charged with a DUI or your license has been suspended for refusing to submit to field sobriety testing, the law office of John W. Callahan can help you. 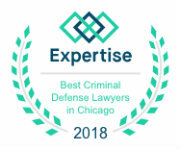 We have handled countless DUI cases in Illinois. We know the law and the courts. We can help you. Call us at 877-335-6697 or contact us online to speak to an experienced DUI defense lawyer. 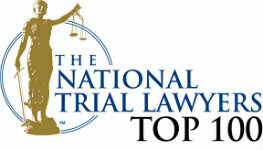 We offer a free DUI case evaluation. Do not get pressured into accepting a guilty plea without getting all the answers you need from an experienced attorney to make the best possible decision.